30 years of Ewoks?? That’s not true! That’s impossible! Yes, Return of the Jedi (Episode VI, yada, yada) celebrates its 30th year anniversary this week. It opened to crazy long lines of excited fans back on May 25th, 1983. 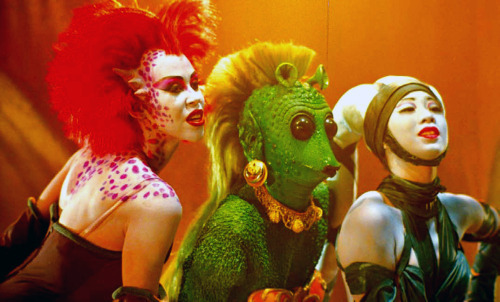 Long before the dark times… before The Phantom Menace. 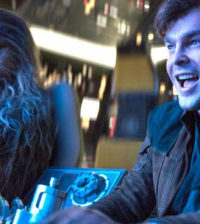 Of course, Jedi is now known as much for its marketing tie-ins as its cinematic value because by 1983, George Lucas had gone whole hog on the concept he innovated in the previous two installments. While many of the toys and promotional souvenirs are cringe-worthy today, most fans still look back fondly at Kenner’s line of action figures. With its gaggle of space creatures and righteous teddy bears (Ewoks), Return of the Jedi was a cornucopia of action figure opportunities. In fact, Kenner’s original 1980s ROTJ action figure output (almost 50) nearly matched the combined total of the figures made for Star Wars and The Empire Strikes Back. 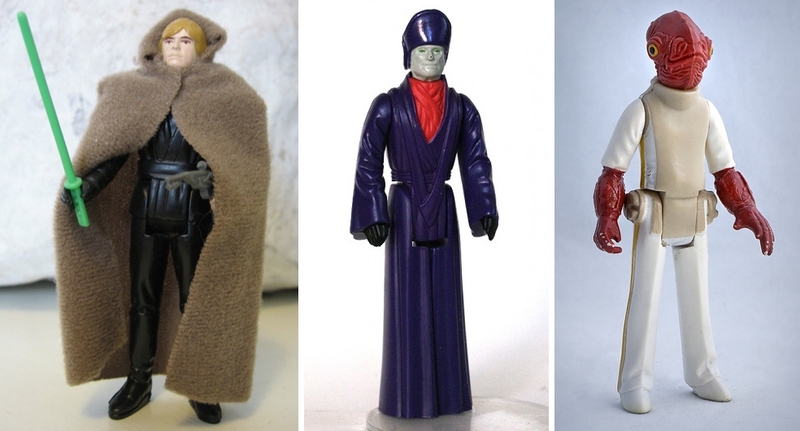 Here are some of the best and some of the most ridiculous vintage Return of the Jedi Kenner figures from that period. You can find the full rundown of Star Wars figures at Rebel Scum. Spotted hanging out by Han Solo in the carbonite block in Jabba’s palace. Like, for two seconds. Really creepy staff. Why was this made for kids? What exactly is General Madine going to do with that “battle staff”? That wimpy white stick is pretty embarrassing. Wait, who’s General Madine? Well, you know he’s that guy with the beard that no one cares about and is nowhere near as awesome as Admiral Ackbar (see below). One of the coolest-looking vintage figures ever made, but it couldn’t turn its head. Or engage in battle, really. This figure also came out a year before The Emperor. That really made sense. Didn’t this guy appear in the Pirates of the Caribbean movies? Dude knows how to rock a cape. Another action figure nobody asked for, but Yak Face was super rare when it was released and thus became a highly coveted collectible. A vintage 1985 Yak Face can be found on eBay… for a price. With a face only a mother could love (if that), Prune Face may have been the most pointless of all the action figures, and that’s saying a lot. 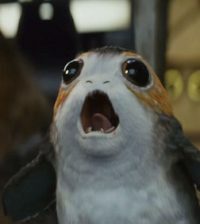 He’s a good guy who appears for a nanosecond at the Rebel briefing and looks like a disturbing cross of The Emperor and E.T. This crazy reference to 1950s sci-fi classic The Day the Earth Stood Still resulted in three of Jabba’s henchmen from the Sarlacc pit. At least they actually had some screen time and did stuff. 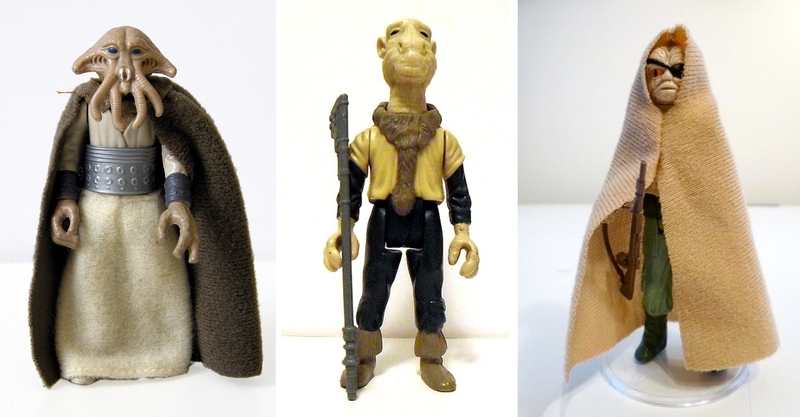 Bonus: Kenner made an ADDITIONAL version of Klaatu in his Skiff Guard Outfit for all those Klaatu fans out there. Because, you know, the guy was onscreen for probably two whole minutes. If you got Luke with the green lightsaber instead of the inaccurate blue lightsaber, then you were one happy kid. One of the best vintage Kenner figures ever. Could not grip anything, much less a weapon, this action figure was the epitome of pointlessness. 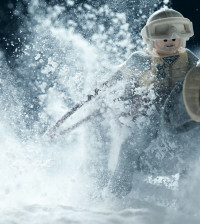 Of course, any 6-year-old would LOVE to play with this figure!! Dude, it’s a trap! Nuff said. 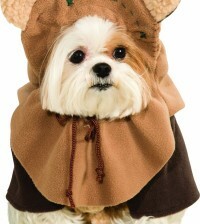 For an Ewok, he was kinda awesome. The Ewok medicine man had a removable headdress so he could go incognito, which was powerful stuff. This was pretty cool-looking but Han didn’t have a weapon and didn’t look like Harrison Ford at all. Seriously, who asked for this guy? 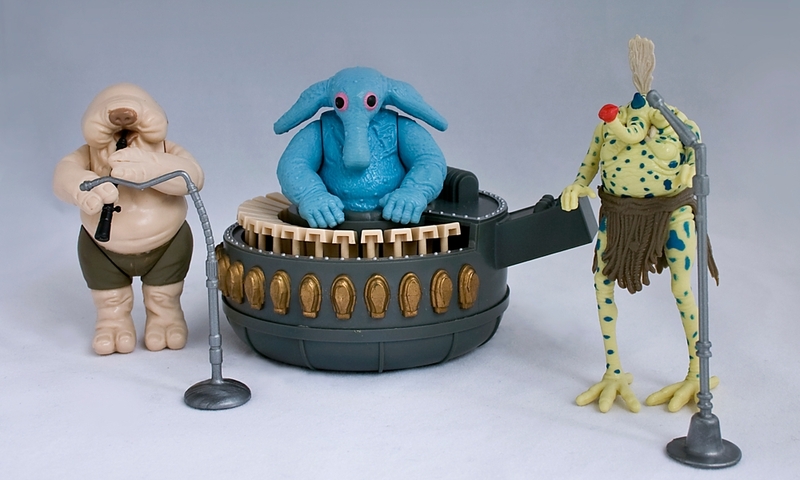 In the original Kenner collection, they made a figure of freakin’ Lumat, but not Grand Moff Tarkin.